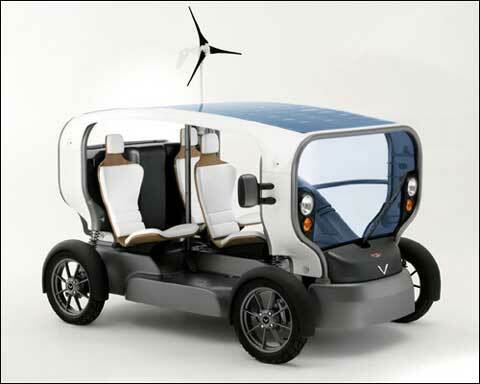 The Eclectic is a different take on a solar/wind powered car. For many it will be the perfect car. It needs no fuel, just park it outside and it will fill it's batteries by itself. It seems a small wind turbine is also available to charge the batteries when stopped. 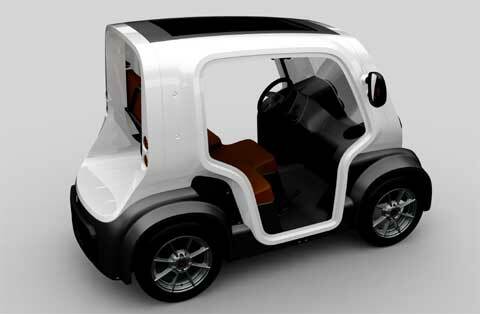 Carrying three people in comfy seats, it shows progress in self powered vehicles. While still able to be charged from a power plant, it is able to fuel itself on its own. Here's a good article from OhmyNews on the Eclectic which talks about a lot more than just the Eclectic. 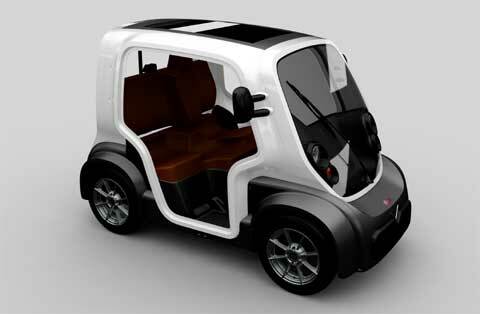 A concept of Venturi, as a result of the considerable interest shown by the public in Eclectic Concept, Venturi has had to adapt it to mass production. More compact, lighter, Eclectic has become a real urban car, ready to confront the important stakes that await it. Nevertheless, the Eclectic has retained its original philosophy: it is much more than a simple vehicle. A real production and storage plant for renewable energies, either solar or wind-based, it can also be recharged on any kind of socket on the electricity network thanks to its on-board charger. Production will begin in fall 2009, in a new production facility in France. The production design will be more compact (as shown on right), and have fenders over the wheels! Initial range is 30 miles, with a 30 mph top speed. The good looks and utility has raised a lot of interest and people are ready to buy.